PALMDALE, Calif. – Arrangements have been made for a memorial service for Marine Gunnery Sgt. R. Lee Ermey. Services for the longtime Antelope Valley resident have been set for April 24, at the Highlands Christian Fellowship, 39625 20th Street West in Palmdale, with open service from 4-7 p.m. The Golden Globe-nominated actor, world renowned for his roles in “Full Metal Jacket,” and the hit TV series “Mail Call,” as well as dozens of other performances during a 30-plus year career after the Marine Corps that embraced film, television, and other media, died April 15 at the age of 74. Ermey achieved a kind of overnight fame in 1987 that had been building for a decade previous when he branded forever the role of Gunnery Sgt. Hartman in the Vietnam War classic Full Metal Jacket, directed by Stanley Kubrick. The role of a relentless drill field martinet secured for him a Golden Globe Award nomination for Best Supporting Actor, and a continuous series of roles that followed for decades. During the Vietnam War era, Ermey served as a drill instructor at the Marine Corps Recruit Depot. He achieved the rank of staff sergeant. Amid successful career in major films and television, he was given an honorary promotion to gunnery sergeant in 2002 by Gen. James Jones, then commandant of the Marine Corps. 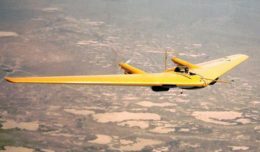 During his tenure in the U.S. Marine Corps, he served in Vietnam, deployed with a Marine Air Wing unit. 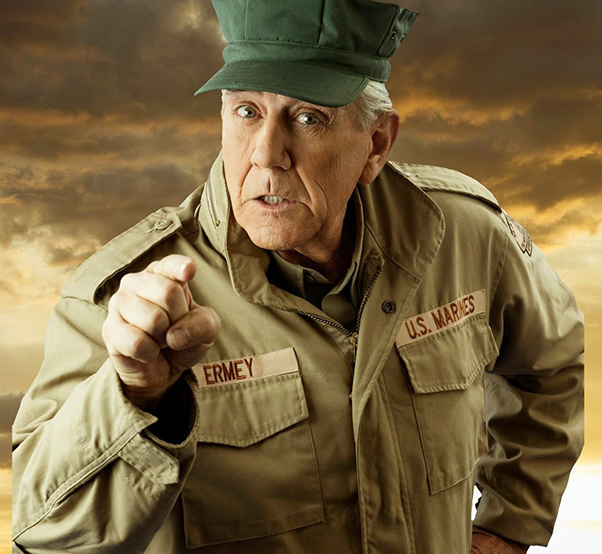 After an honorable discharge for medical reasons, Ermey was attending the University of Manila on the G.I. Bill when he was cast for a small but memorable role in “Apocalypse Now,” directed by Francis Ford Coppola. Soon after, he appeared as a D.I. in Sidney Furie’s “The Boys in Company C.” The role was a premonition of the presence he would bring to “Full Metal Jacket” in the Hartman role. Ermey was born March 24, 1944, in Emporia Kansas, and moved to Toppenish, Wash., at the age of 14 before entering the Marine Corps. Ermey twice earned the Good Conduct Medal, the National Defense Service Medal, the Marine Expeditionary Medal, the South Vietnam Cross for Gallantry with Oak Palm, the Vietnam Service Medal, and South Vietnam Campaign Medal, a Meritorious Unit Citation, and the Drill Instructor’s Ribbon. Ermey worked on behalf of the Marine Corps Reserve’s Toys for Tots programs and many other philanthropic enterprises. Following the memorial services, a community tribute to Ermey will be set at Bravery Brewery, the microbrewery pub in which he had a partnership with Bart Avery. The April 28, event at the 42705 8th St. West locale in Lancaster is open to veterans, friends and family, and runs from noon to 3 p.m. Surviving family members include wife, Nila, grown children, Kim Bolt, Rhonda Chilton, Betty Ermey, Evonne Ermey, Anna Lisa Cruz, and Clinton Ermey, grandchildren, great grandchildren, and brothers, Terry Ermey and Jack Ermey.